I received this item for review just in the nic of time. It was time for Matthew to potty train. Would this help him? Do you know what the Little Looster is? For all the years when those little legs don’t reach the floor. The Little Looster™, a booster for the Loo is about to change the way we potty train. 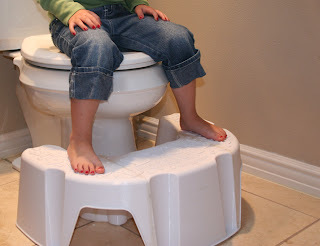 The perfect potty stool. You can find Little Looster on Facebook, Twitter, and it is available for purchase (for only $34.95!) on their website.